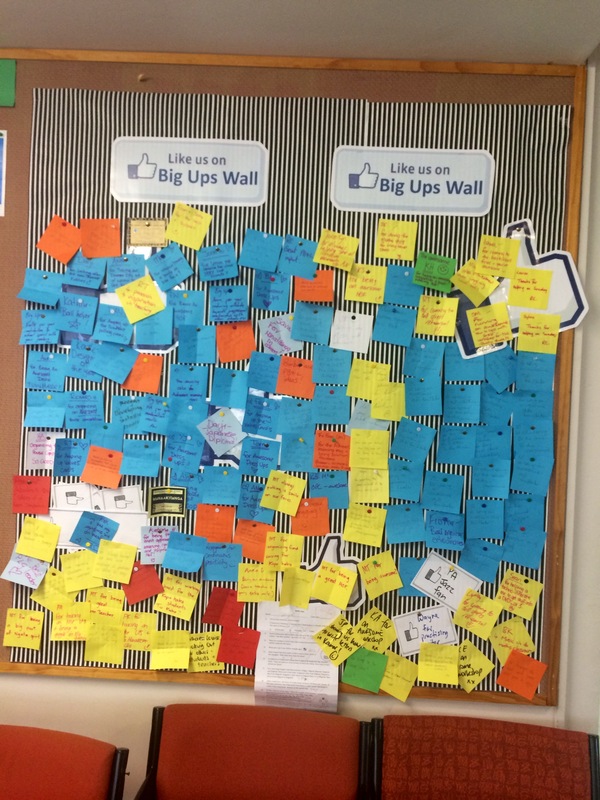 This is a “Big Ups” wall, where teachers add things they appreciate other teachers doing. We need to support each other. On the New Zealand Ministry of Education website, there is a quotation by Basil Bernstein that reads, “The culture of the child cannot enter the classroom until it has entered the consciousness of the teacher.” Research supports that if teachers are able to reflect on their own racial backgrounds and the impact of racial stereotypes on their worldviews, they will become empowered to grow in their teaching and learning. Our students will come and go in four years, but our teachers will stay for decades. Therefore, in order to change school culture and to improve student success, we must impact adult learning. By the time I leave New Zealand in less than a month (ahh! ), I will have visited 14 New Zealand schools, getting examples of classrooms, teachers, and kaupapa (belief systems, ways of being) that support and affirm the multiple identities in the classroom. On my way to one of the school visits, I get to hang out with some cool characters in the airport. I’ve visited everything from two Kohanga Reo (total immersion Māori early education centers) to a Kura Hourua (Partnership/Charter School), to nine English medium high schools, to two Kura Kaupapa Māori (Māori-medium high schools). The schools have ranged in ethnic demographics and decile levels (socioeconomic levels). I’ve seen so many positive ideas of great things happening that my head is spinning. At my partner school, a mid-decile Wellington region school that has the most amazing humans in the planet working at it, I’ve run student focus groups. In these focus groups, students were asked to tell stories about how teachers and schools have supported and affirmed their racial and cultural identities. There have been many tears and many hugs, and I thank these students for reminding me how imperative it is that we teachers support and honor the multiple identities in the classroom, because we do make such a profound difference. Their stories are heroic and inspiration, and it makes me proud to be an educator because I get to work with these brave humans each day. The groups fell into five groups: Māori, Pasifika (what Americans call Pacific Islander), Pakeha (white), a mixed ethnicity group of scholarship (highest achieving) students, and alumni of my partner school. I hope to ask the same questions of my students back home. I will be interested to see if there are any patterns or trends, and I think that the comparative analysis would give me great insights into the transformative nature of teacher-student relationships. 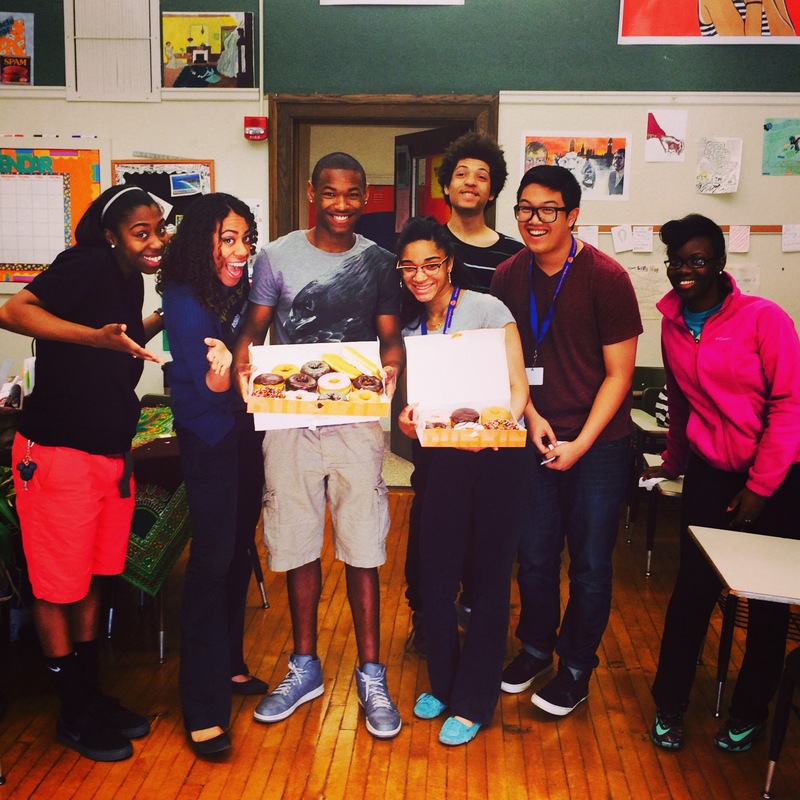 Again, at my partner school, I’ve had the honor to work closely with three main teachers. I wish they could be my colleagues forever. With these three colleagues, I have observed their classrooms for two months, and then have interviewed them to see connections between their belief systems and their practice. One of my mentors at my partner school trained me in their Te Kotahitanga (the Ministry of Education’s initiative to increase Māori achievement) inspired initiative for teacher feedback. This program supports teachers to be better positioned to eliminate the racial predictability in student academic achievement, and I hope that I can bring this teacher feedback program to my high school in the U.S.
Picture with Chris Marshall and Howard Zehr. One of the best ways that I’ve been filled with so much hope is through rubbing elbows with so many idea-inspirers. 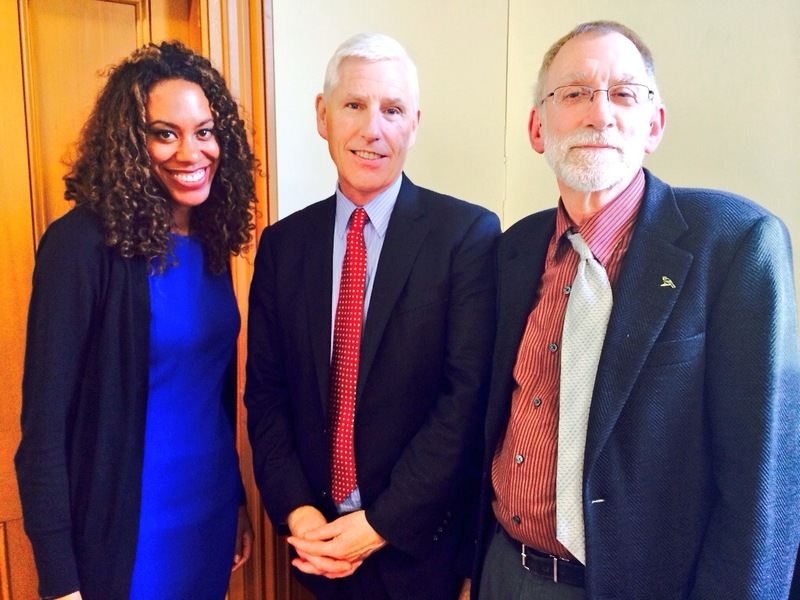 I’ve worked with two key people in the field of Restorative Justice–Chris Marshall and Howard Zehr. I’ve met with three Ministry of Education officials and one Ministry of Social Development official. I’ve shared coffee with some amazing lecturers and professors at Victoria University. And that’s not to mention all of the teachers, school management teams, and students I’ve had the honor of meeting. I wish these people understood how their ideas and their outlooks have profoundly changed me. One of the best components of the project is that I get to come up with my own weekly schedule. 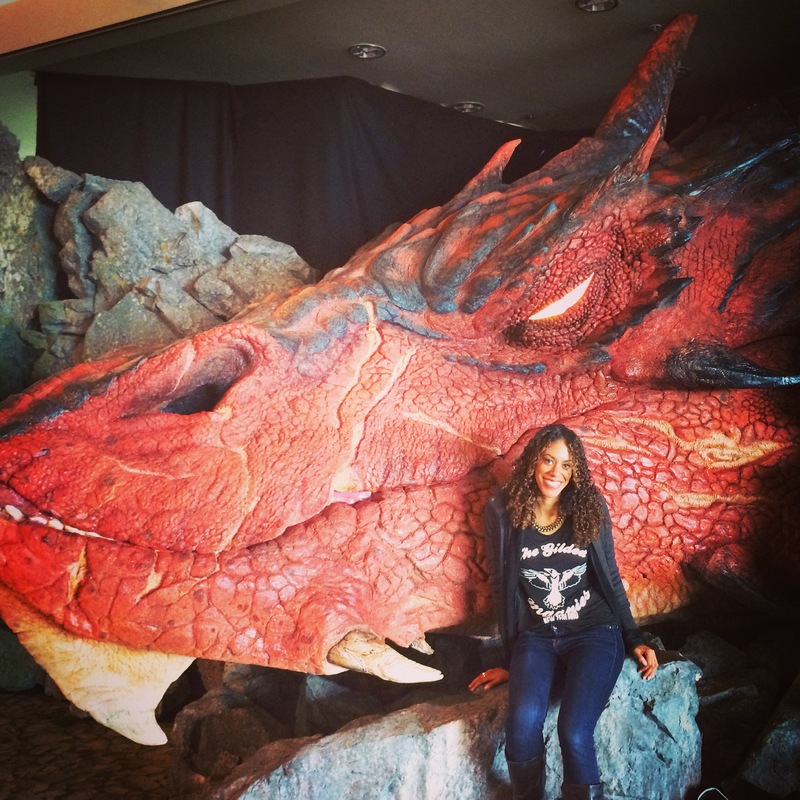 There are tons of things I want to see and do, both professionally and personally. I have so much going on that I’ve had to create a spreadsheet of each day and what I have planned. Professionally, there are heaps (to use popular Kiwi diction) of those previously mentioned idea-inspiring people that I’d like to meet. There are so many people to whom I’ve been introduced, shared a meal, and traded ideas with. Many people I’ve only had the opportunity to talk with once, and as my program comes to a close, I can’t seem to find a spare half hour to speak with them again. One of my little regrets is that I will leave still wishing for more time to share more oxygen with these wonderful people. But things move quickly here, and I’ve had to adapt to being as flexible and as open as I can. For example, when I was having a korero (talk/meeting) with Gregor, the amazing, inspiring principal at Paraparaumu College, he introduced me to a board member, Leah. Leah also worked at Victoria University, and my talk with her blew me up with so much hope, that it was only popped after ironically stepping in chewing gum on my way home. I’ve only met Leah twice, but she has become one of the biggest role models of my life. She barely knows me, but has opened up so many doors, listened to me carefully, has offered me perspectives. I’d like to become much more like her. She set up an amazing meeting for me, and had it hosted by Victoria University. She introduced me to her brother Matthew, who works for the Ministry of Education ,and Paul Meredith, who is an incredibly key person in supporting Māori equity. She had the university buy us lunch so I could tell my story and gain feedback from this pretty remarkable group. Picture with the honorable Winnie Laban. Afterwards, she had me sit down with Professor Piri Sciascia, the Deputy Vice-Chancellor Māori, who had amazing insights. I then met the honorable Winnie Laban, who used to be a member of Parliament, and is now the Assistant Vice Chancellor Pasifika for Victoria University. 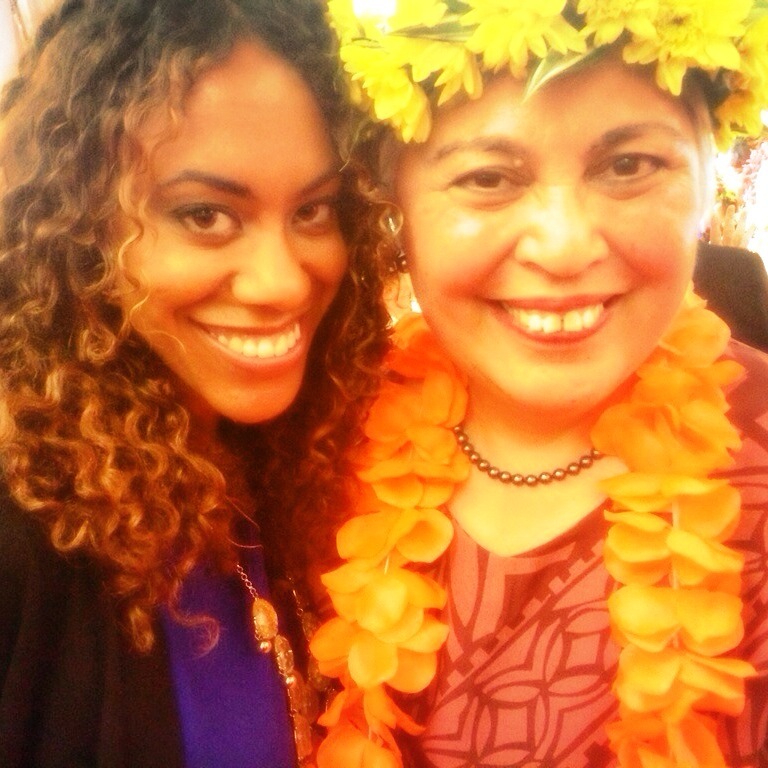 Within three minutes, she invited me to the National Pasifika Art Awards as her guest. I started panicking here, as I had my Te Reo Māori (Māori language) class that night, and I didn’t want to miss any lessons. But then, as things move quickly, it turned out that there was a tangi (funeral) at the Marae, so the class was cancelled. The next thing I knew, I was hopping in cab with Leah and Paul so I could get dolled up for the event. And it was beyond any expectation that I could have imagined. I met amazing people, received my first real exposure to Pasifika culture, and ate some incredible food. I was in love with all of the color, as Wellington can be quite grey and–being a capital city–most people just wear white, black, and grey. But there was orange and yellow and so many variations of the colors of the sun! And my soul felt full of sunshine as well. Granted, I came with a pretty high profile host, but I felt like everyone in the room had been my friend and family for decades. It was special. So you see, each day when I roll of bed to greet the morning, I have no idea where I will end up or who I will get to meet before I crawl back into bed in the twilight. My heart has to constantly be open, and it’s been both challenging and exciting to always be looking forward to new experiences. Night: Seperate coffee/dinner plans. Day: Meeting with Chris Marshall (head of Restorative Practice). 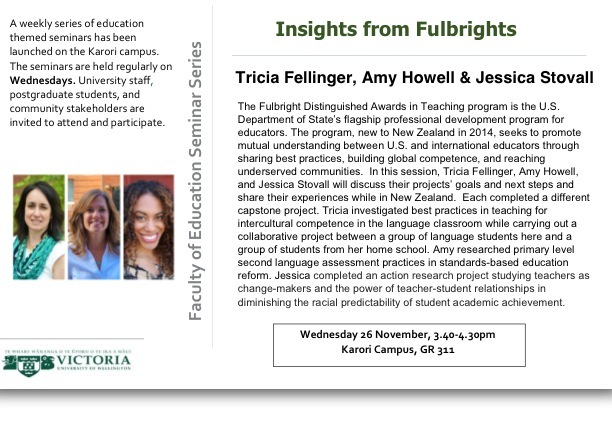 Attending Sarah McKibben’s Fulbright presentation. Night: final dinner with my Maori language class Day: taking some time to catch up on much needed errands (everything closes by 5:30 here, so I can never get to any stores before they close during the week). Night: Thanksgiving dinner at the U.S. Ambassador’s home. Day: Observing a Decile 3 school (a school that resides in a lower economic area). 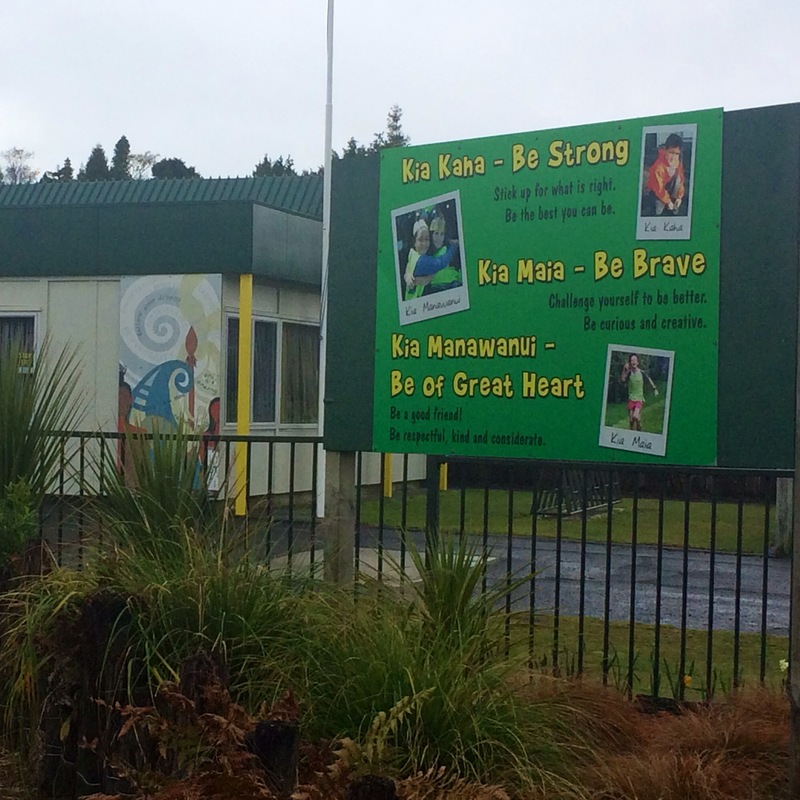 This school has won awards for its Māori and Pasifika achievement. I have two main goals. The first is to create an original workbook that will help U.S. teachers reflect on how their own experiences and beliefs affect their perceptions and expectations about student outcomes. I have investigated the Ministry of Education’s initiative to raise Maori student achievement, Te Kotahitanga, and I will analyze how the six elements in the Effective Teaching Profile impact student social and academic outcomes. 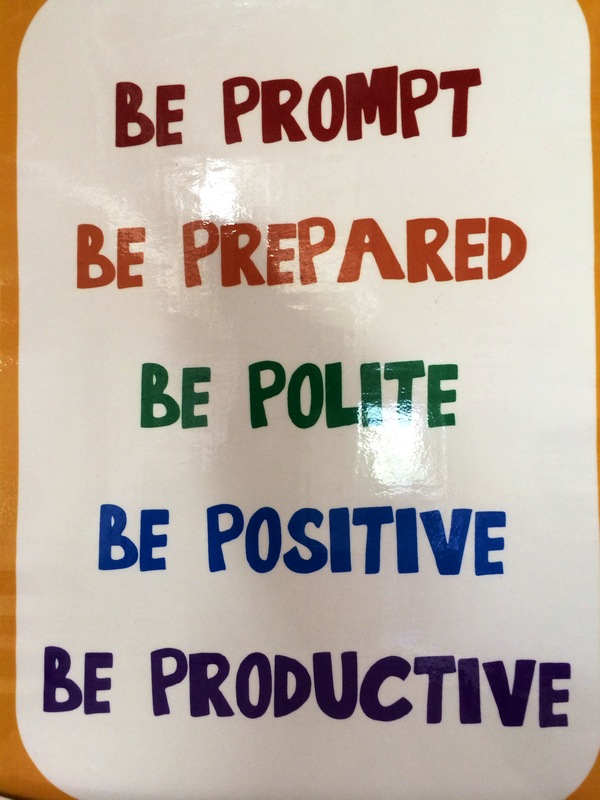 A picture of a poster seen in a classroom. 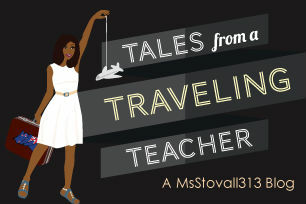 I have interviewed teachers and students to gain their voice on the impact of student-teacher relationships, classroom communities, and culturally responsive curricula on student achievement. I have found examples of secondary schools that have a clear Kaupapa and commitment to social justice and how that collective vision has facilitated positive change. The study of Te Kotahitanga, Tikanga Maori values, interviews, and classroom observations will be the inspiration for the workbook. 1) a vignette that is inspired by an interview or an observation in a classroom. The vignette will be the personal hook that draws in the importance of the value and gets at the reader’s moral code. 2) educational theory, data, and research that supports the value. One of the things I have most appreciated about Fulbright is that, for the first time in my career, I am valued as an intellectual. Therefore, I would like to carry on that spirit by supporting each value with the latest research on best practices in education, hopefully inspired by my classes at Victoria University of Wellington. 3) Reflection questions that foster teacher growth. In order to grow, educators to be introspective. After reading the personal vignette and studying the research, educators can reflect on how the research supports or contradicts their own teaching philosophies, and how these philosophies in turn impact their curricula and their relationships with students. 4) A lesson that teachers can use to support their growth. The lesson will come from my own practice or from classrooms that I observe. The detailed lesson will support the Māori tikanga and give a practical example of how a teacher might start to engage with students to learn about and support their multiple identities. 5) Follow up questions that allow the teacher to reflect on the lesson. Just like reflecting on research, teachers must reflect on their experiences in the classrooms. The reflection questions will allow teachers to think about what came up for them as they taught and assessed student learning progress. Picture of the values written outside of a school. This workbook will then be used for what I hope is my second end goal: equity coaching (I will write more on this later once I see if it’s something actually feasible). But just as our school has literacy coaches, I would love to become an equity coach. I’d love to work with teachers individually on their teaching practices. I’d love to come into their classrooms, get inspired by what they are working on, and work with them to reflect on how their own lived experiences with race impact their teaching, their pedagogies, their curricula. I would like to use the Te Kotahitanga inspired initiative for teacher feedback to accomplish this goal, as I believe it will make profound change in my high school. I’d also like to conduct “lunch and learn” professional development sessions at my high school in the U.S., providing teachers with practical insights with how they can make change in their classrooms. Eliminating racial predictability in student achievement is our school’s number one board goal, and this rare opportunity that Fulbright has afforded me will be a powerful catalyst for change at my high school. I believe in teachers. We are so much more than our job descriptions. And I believe that it is us who can make the change for our students. We can be the light on the dark days of the decisions where black boys are murdered with no repercussions. 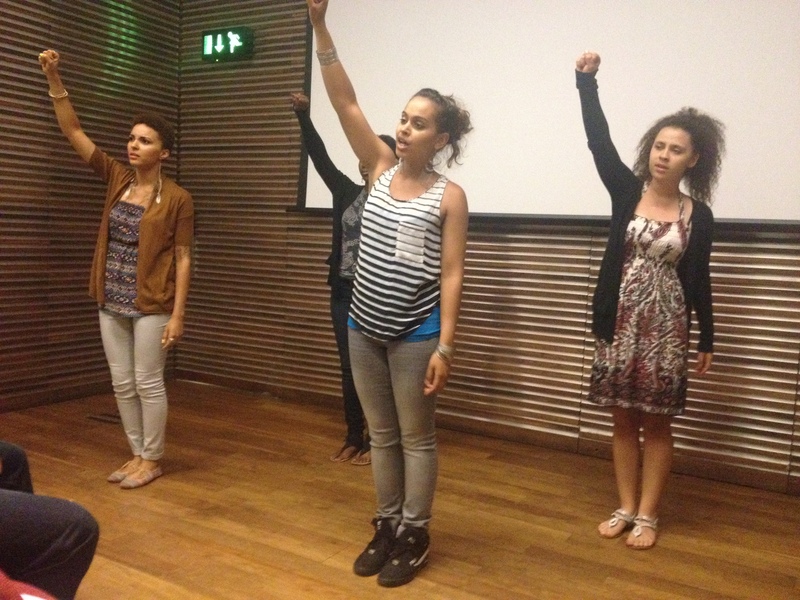 The four students I took to London, UK to participate in an international spoken word competition in 2012. Thanks so much for this awesome update. I can see how transformational this experience has been. It is heartwarming to hear how open the people of Wellington and Victoria University have been to you and your project goals! Enjoy your Thanksgiving dinner!!! I appreciate you posting your reflections! Thank you so much for your kind words. This really has been transformational, and mostly so because of the amazing people I have had the honor of meeting. I hope the same for you!